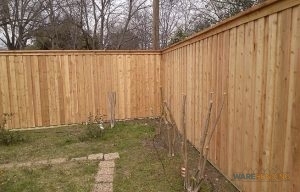 Do you need a dependable fence company in Coppell, TX? At Ware Fencing, we specialize in all kinds of fence repair, fence replacement, and fence installation for residential in addition to commercial properties. Our services are meant to help add to the curb appeal as well as the property value of your house or business, while simultaneously supplying you with a functioning addition. Our crew works diligently to make any fencing vision a reality. You can contact our team at 817-948-4503 to discover more, and talk with any of our professionals about your fence options. 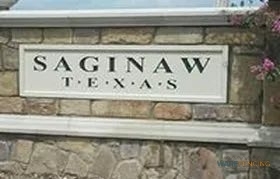 As an expert as well as local fence company in the Coppell area, our team has years of experience servicing homes and businesses in this community. If you need farm or ranch fence answers, we can help you with that as well, even with horse fencing. If you’re searching for any type of residential fencing solution, our professionals will carry it! If you’re looking for privacy, we suggest cedar, and if you’re searching for something cost-effective that will not block your view, aluminum is a great choice as well. For further residential security, you can pick from our wrought iron fencing, or ask about our specialty security fence options. You can additionally contact us for custom fence designs, so regardless of what type of fencing you need, you can locate it at Ware Fencing. We’re the premier fence company in Coppell, TX, and with good reason! Customer service is our primary objective, and we only utilize high quality materials to finish all projects. Every client we work for gets a full inspection, and we work hard to build fences to your exact specifications. If you’d like to request your quote, or set up an appointment, you can call the team at 817-948-4503! You can count on our crew to meet your fence requirements, no matter what they are.